Guilty verdicts continue to be handed to opposition members while the general election approaches. In what seems to be a desperate bid to conclude business, Bangladesh’s controversial International Crimes Tribunal has convicted yet another leading member of the opposition of crimes against humanity, killing and genocide committed during the 1971 war of independence of Bangladesh. Abdul Alim, an octogenarian politician and former minister is the eighth such person to be so convicted. Unlike most of his predecessors, he escaped the death penalty on grounds of age and poor health. The tribunal in Dhaka found him guilty of nine charges and observed that death by hanging was the proper punishment for him but has commuted his sentence to “imprisonment till death”. The family of Mr Alim’s rejected the verdict – terming it unfair, improper and politically motivated. His party, the Bangladesh National Party, reserved their reaction though a stalwart of the party and former Mayor of Dhaka criticised the judgment. This verdict follows the one of last week when another prominent Bangladeshi politician, Salahuddin Quader Chowdhury, and sitting MP was found guilty of genocide and crimes against humanity by the same tribunal. Chowdhury, his lawyers and family members rejected the verdict as a farce and politically motivated whilst campaigners seeking justice for the victims of 1971 war expressed relief and celebrated the verdict. 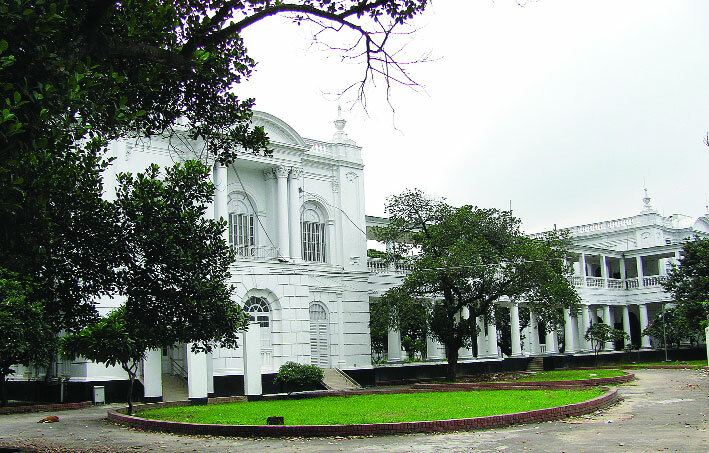 However, in the port city of Chittagong, Chowdhury’s hometown, the verdict triggered unrest and backlash. The crimes they are said to have committed in 1971 are horrendous acts of barbarity, and it is incredulous they were let off the hook for over forty years. But the body charged with overseeing justice has been mired in accusations of corruption, incompetence and collusion. The prosecution’s case against Chowdhury was simple – that over a period of nine months, Chowdhury aided and at times actively participated in killing, looting, torturing and burning houses and establishments belonging to civilians primarily from the minority Hindu community. In his defence, Chowdhury denied the charges pleading that he left Bangladesh at the end of March 1971 and returned shortly after Bangladesh became independent. In his support, Chowdhury sought to produce witnesses to give live evidence at his trial. Chowdhury sought to call to his defence prominent individuals from within Bangladesh and abroad, including a sitting Supreme Court judge of Bangladesh and former ministers of the government of Pakistan. Powerful figures from the ruling Awami League were also named by Chowdhury as his witnesses. Unfortunately, however, while the prosecution produced sixteen live witnesses, Chowdhury was only allowed five of his own. More disturbingly, it has now emerged that one of the individuals that Chowdhury wanted to call as a witness, a sitting supreme court judge, wrote to the Chief Justice of Bangladesh confirming that the accused was with him at the Punjab University during that period, and that while he understands the difficulty for a sitting supreme court judge to give evidence, he felt that his conscious demands that he should have the opportunity to appear as a witness. This is entirely understandable given that the liberty and life of the accused in question is at stake. A Supreme Court judge would naturally be concerned that when so much is at stake, the interest of justice must take priority over all other considerations. For whatever reason, the judge in question was not authorised to appear before tribunal and the body did not heed requests Chowdhury to grant him time to call the Justice to the witness box. Nevertheless, Chowdhury’s evidence confirmed that he left Bangladesh at the material time. In addition, the defence’s witnesses are distinguished personalities – strong reasons must be given for rejection of these evidence. However, the tribunal did not seem to feel the need to comment on the specifics of individual witnesses, including the reasons for rejecting these testimonies. Instead, the tribunal accepted evidence which are at best hearsay, and was not properly corroborated to conclude that the alibi produced by Chowdhury is untrue. In the case of Alim, 35 witnesses gave oral evidence for the prosecution whilst only three were allowed to testify for the defence. Similar to Chowdhury’s defence, Alim too argued in his defence that he was in hiding at the relevant time and that because of his absence; he could not possibly have committed the alleged crimes. However, one thing is sure. In this judgment, the Tribunal has yet again surprised observers by their legal creativity: instead of the pronouncing the usual term of “life imprisonment”, they have opted for “imprisoned till death”. The difference, as one commentator argues, is that by convention a life sentence is limited to, at most, 30 years whilst this adoption would ensure the convicted is never released. No doubt, in due course the soundness of such creativity will be put to legal test and would only add to the long list of evidence pointing to the Tribunal’s lack of neutrality and judicial objectivity. Whilst International Crimes Tribunal in Bangladesh, a domestic special court, was set up to bring perpetrators of the war crimes committed in 1971 to justice and to provide closure, the decisions so far only add to the controversies that places the entire process into question. It is fair to say that the allegations against the Tribunal of irregularity, bias, partiality and collusion with the government to ensure predetermined outcomes have been given legitimacy yet again. And it is arguable that through these decisions, the Tribunal has put the final nail in the coffin and has diminished whatever credibility it had, if indeed it had any. The efficacy of the Tribunal was first called into question when leaked conversations between a Tribunal judge and a pro-war crimes activist revealed collusion at the highest level. It has gone downhill ever since. Just when one would hope that the Tribunal may have reached the lowest point, another development happens which is much more difficult to come to terms with. Following the judgment on the case of Chowdhury, there were further allegations that the judgment was written by a government ministry which the Tribunal merely adopted and recited. This is argued because a leaked version of the judgment appeared online before the official judgment and that the official judgment was remarkably similar to the one which was already available online. In response, the Tribunal commissioned an investigation in the matter while the ministry in question appears not to be subjected to any investigation. If this was not enough, the office of the lawyer defending Chowdhury was raided, resulting in the arrest of his assistant who is currently in police custody. This confirms the worst fears that many of the defence lawyers were airing privately that they are concerned about their safety and security and that they saw the state security apparatus itself as a threat. The verdict also comes at a crucial moment. Chowdhury is the first sitting MP to be convicted of war crimes. He is also the first who is not from Jamaat, the largest Islamic Party in Bangladesh and is perhaps the most high profile of those convicted so far. The profile and the position that Chowdhury enjoys also means that the main opposition, the BNP who previously maintained silence will now be drawn to the controversy. In fact, that have already criticised the judgment. This is extremely significant because Bangladesh is due to have a general election by no later than January of next year. The BNP and other opposition parties have so far indicated that they will not be participating in an election overseen by the ruling Awami League party. This verdict will now add to the already complex political situation that’s fueling uncertainty over the democratic future of the nation.